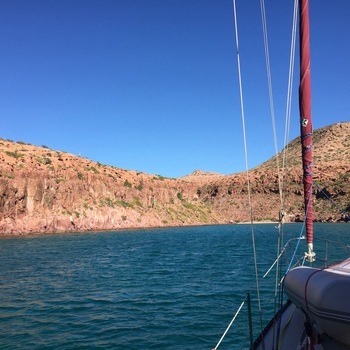 El Cardoncito is an anchorage located at 24.535886 N, -110.393524 W. Vessels can find protection during calm weather, with exposure from multiple directions. There are 0 slips and 0 mooring buoys available. Berthing costs are estimated to be free. Fuel is not available near this location. - "At anchor with the private white sand beach off our bow." 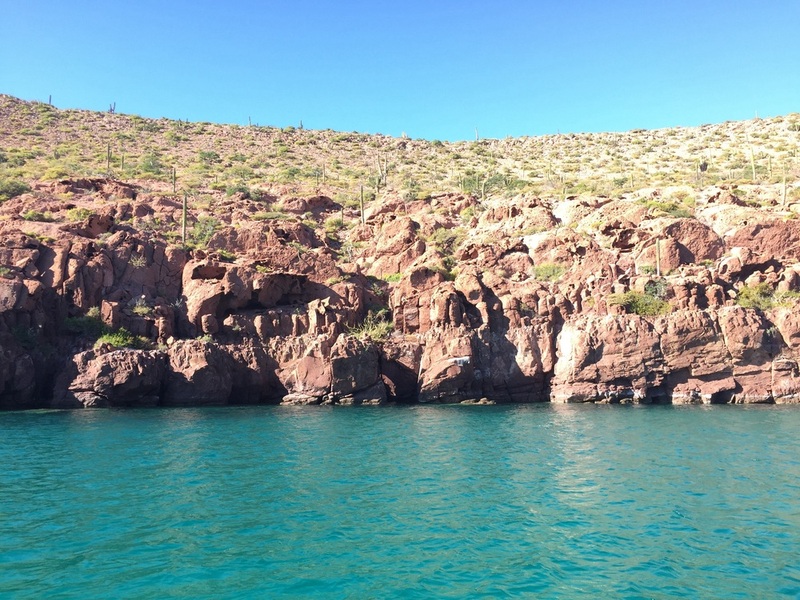 - "Red cliffs, cacti, and bright blue water at El Cardoncito // november 2014"
This is a narrow cove with red cliffs on either side, bright turquoise water, and a private white sand beach. When we visited, the high cliffs were blocking the afternoon breeze that was blowing through Caleta Partida just to the south of us. 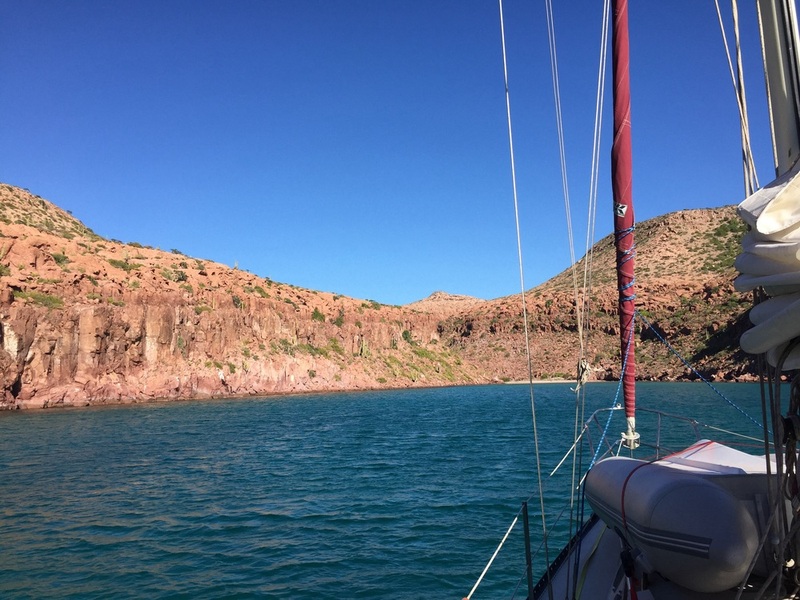 We anchored in sand right in the middle of the cove in about 20 feet of water. Jumping rays breached around us echoing off the rock walls. We were tempted to stay the night, but decided to head to an anchorage with a little more room. 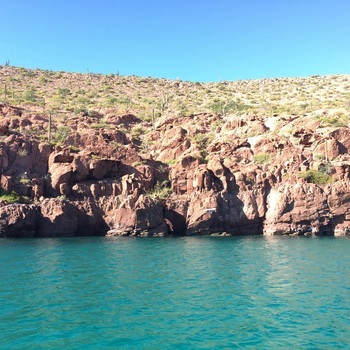 This is a beautiful little spot, great for paddle boarding, kayaking, or snorkeling.